Many cannabis companies are excited to make the transition from the medical market to the full-blown adult use market but few of them are in as good of a position to do so as Sunnabis. Founder Wendy Kornberg is rightly focused on product quality and assembling a great team and her efforts have been heavily rewarded already. Sunnabis topicals, flowers and other health support products made from cannabis are simply crushing the Cup scene in California. Kornberg believes the cornerstone of her team’s efforts is, of course, the flower. Sunnabis grows full-term in the ground under sunshine as well as a cycle of open-air light-dep hoop houses in the early season. Because they grow their own flowers for their topicals and other health solutions, Sunnabis has far more control than product manufacturers who buy wholesale market flower or oil produced by others as product inputs. As master formulator, Wendy Kornberg is demanding with their curing process. Her whole-plant product terpene profiles are native to the flowers Sunnabis grows, so the curing must be right to ensure their award-winning quality. Because the Sunnabis team are personally invested in serving patients and others seeking symptom relief, they are very customer focused and individual in their product advice. “I think that the informed consumer is not only a better customer, but also makes for a better world,” Kornberg said. 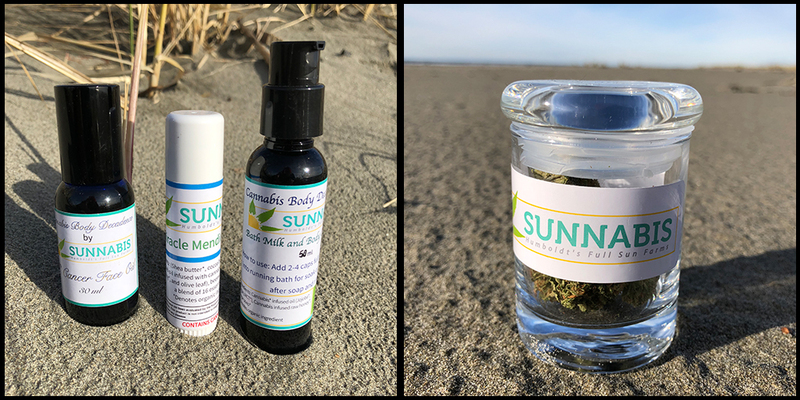 It is this sort of individualized approach to medicine that has made Sunnabis so wildly popular with patients in Northern California. Now, with adult use legal, Californians throughout the state will be able to obtain these products. Take, for example, the Sunnabis F* Cancer Sunscreen and Face Oil. This product goes on light so it won’t clog pores and soaks in easily. The proprietary oil blend infused with cannabis consists of a careful mix of argan, baobab, black raspberry, MCT, meadowfoam and evening primrose oils intended to both provide relief and also function at the perfect viscosity. The facial oil is packed with whole-plant cannabinoids and a consistent, powerful terpene profile all directly sourced from their sungrown plants. Kornberg extends the healing power of the plant with the addition of vitamin C and essential oils of frankincense, geranium, and lavender. Nearly everything is organic, too. We provided the oil for review to a friend with an auto-immune disorder leaving her with an array of blemishes, some caused by steroid treatments. We figured she would be a serious challenge for the Sunnabis F* Cancer Face Oil. Her experience was incredible. 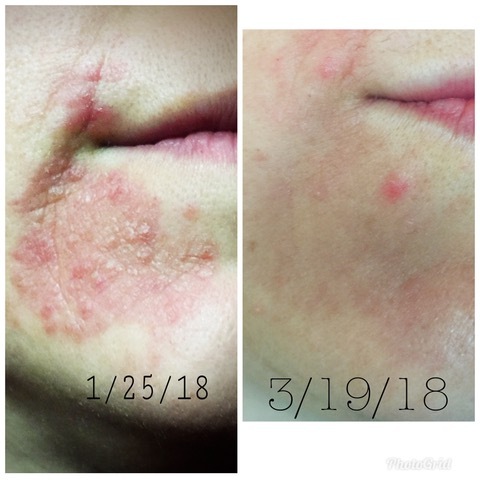 In the first week, the redness and enflamed dryness resolved and over a two month period both the auto-immune blemishes and the steroid-related blemishes have resolved. The patient-reviewer was thrilled. This oil for the face will likely have a desirable effect for anyone struggling with a dermatological issue above the neck requiring cannabis from psoriasis and eczema to sunburn and cancer. Selling people on muscle relief from cannabis is pretty easy nowadays. Just about everyone knows someone who relies on cannabis for sore muscles, joints or arthritic pain. What makes the Sunnabis Miracle Muscle Salve different is that it works so reliably. There are a lot of muscle topicals on the market, but way too many of them are formulated incorrectly. Some don’t have a carrier to take the cannabinoids through the dermis. Some are infused into a base that is gross or greasy. And some go way overboard with added single terpenes so the product smells more like a dollar store candle than aromatherapy. The Sunnabis version is in a base of coconut oil and beeswax and includes a very effective proprietary blend of rue, plantain, comfrey, lavender, vitamin E, and essential oils of eucalyptus, peppermint, clove, helichrysum, and wintergreen. Again, most everything is organic. The salve goes on thick at first but quickly softens from body warmth and immediately begins to soak in. Everyone on the review team was surprised as to how fast it soaked in leaving little residue or oil. Those involved with the review who were suffering from muscle pain found some amount of relief within the first 30 minutes but, as they continued to apply the salve throughout the day, gained much more significant results. It is true, as with all cannabis topicals, that repeat applications throughout the day are essential for long-term relief. The Sunnabis Mending Skin Salve is designed for problems with the skin. This rare product is a blend of three cannabis strains and seventeen essential oils all designed to rebalance the skin and activate the endocannabinoid system. Effective against eczema, psoriasis and skin rashes, we found this product to be an elegant and effective solution to a wide range of discomforts on the skin. We also trialed the Sunnabis Bath Milk and Body Conditioner. Group consensus was that we don’t exactly get the bath soak product category in cannabis yet. We love the smell of this product and the baths were fabulous and left our skin feeling incredible — and we know we have cannabinoid receptors in our skin. But, that said, we all felt like cannabinoids were going to waste in the bathwater and it seemed like a loss when they went down the drain. We love the scent and touch of this product so much that we all agreed we’d rather have it as a leave-on, after bath topical instead of something that was diluted in the bath and then put down the drain. No doubt, this is a great bath milk, but it seemed like a waste of good cannabinoids and aromatherapy. It is worthwhile to mention that as Sunnabis scales up production, they are not converting to CO2 or another solvent-based extraction method that would be more efficient but would volatilize all the monoterpenes, making the product less than whole plant. Instead of that path, Sunnabis is pursuing ice water extraction and ethanol which truly preserve the full range of the plant’s constituents. It’s unfortunate that the Sunnabis rosin for dabbing is all the way down here at the bottom because it is exceptional and worthy of being at the top as well. 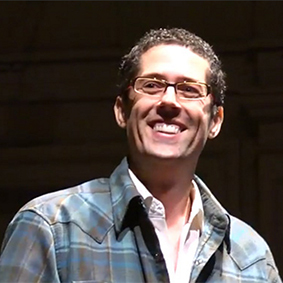 “Stefan Johnson is the Sunnabis Rosin Artist and an integral part of the larger vision of our company,” said Kornberg. I had the opportunity to chat with Stefan at length at Emerald Cup 2017. I’ve never heard an extractor go on quite like he had about the “story” or “fables” told by his oils. Stefan approaches making oil more like a vintner blends wine. Stefan understands the limits to using any one plant and instead sculpts the aroma and cannabinoid content with several extractions creating a blend that is greater than the sum of its parts. In his perspective, a well-crafted rosin oil should offer a sense of place and meaning and create sort of linear expression of itself. Like a fable. Sunnabis single strain rosin is masterfully crafted and the samples we enjoyed were some of the best we have ever had, but it is the Sunnabis custom blends that we will all continue to yearn for now that we know they exist. There is no doubt that Sunnabis is amongst the top players in the country as far as patient-centered product development. 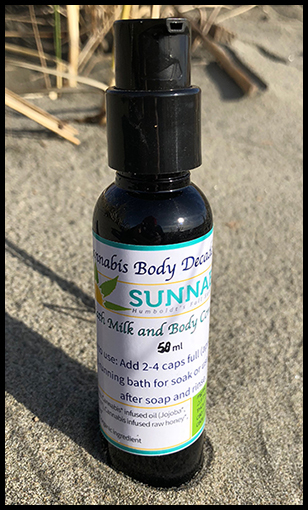 As their package design and customer brand experience scale, we expect to someday see Sunnabis become an industry leader in premium cannabis body care. Currently represented by both Sonoma Pacific Distribution and Oakland Distribution, ask at your local shop for Sunnabis products. You can learn more about Sunnabis via their company website, or by engaging them via Facebook or Instagram.